Rena Johnson lives life to the fullest and documents it all through the creative expression of her photography. As a highly acclaimed award winning nature photographer, she pursues the beauty that surrounds us in a way that shows in every image she produces. From her roots of growing up in the Great Smoky Mountains region in Western North Carolina to her extensive travels throughout the US and England, a love of nature is ingrained into her very core. In 2001, Rena suffered a horrific accident which lead to years of recovery and over 18 reconstructive surgeries on her face. With her entire life changed forever, she found a way to turn the whole experience into a powerful and motivating force in her life. She began learning everything she could about her two greatest loves, writing and photography. She quickly became a popular contributor to many US and International publications, magazines, webzines, etc. With a huge following, she decided to start an organization called the Off-Road Tour for a Cure and began using her work to help raise funds for many charitable organizations including the Breast Cancer Society, The American Cancer Society, Saint Jude Children’s Research Hospital and many more. In 2010, her adventures landed her in the beautiful state of Georgia. Exploring all of the many diverse parks and wildlife areas in her new home quickly turned into a mission. 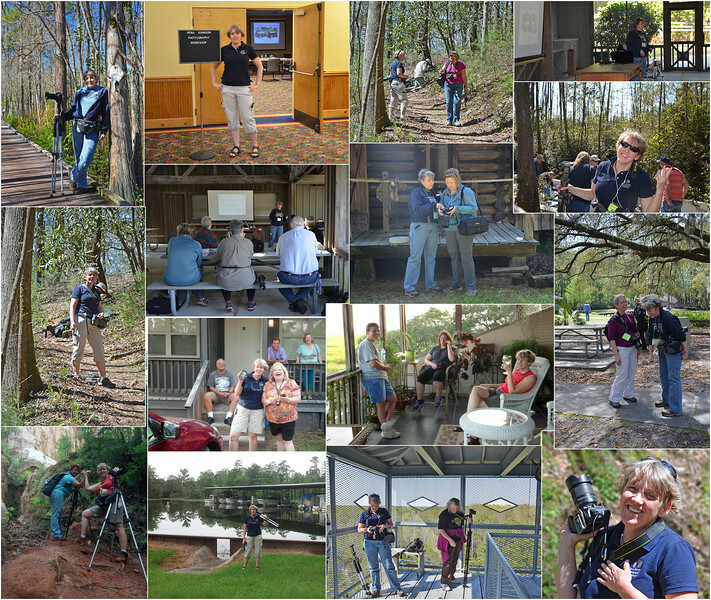 She soon joined forces with the “Friends of Ga State Parks” and started documenting each of her visits through the lens of her camera. Rena’s love of photographing these amazing locations, along with her willingness to share this knowledge of both with others, lead to the discovery of a new passion for teaching. 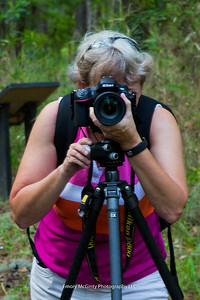 Her familiarity and work with the Friends of Georgia State Parks helped to initiate an alliance with the Ga State Parks and Historical Sites Organization. This union opened the doors for many great adventures as Rena has started teaching photography workshops all over Georgia and beyond. As you can see from numerous testimonials and reviews that another one of her gifts is her compassionate and patient nature which allows her to foster this deep passion with her students. Rena has taught and mentored dozens of budding photographers and encouraged them to pursue their own dreams. This adventurer continues her journey. Having hiked hundreds of miles over rugged terrain to some of the most beautiful peaks in the country such as along the entire Blue Ridge Parkway, to having crawled up the sides of mountains and down steep rocky ridges such as at Crowder’s Mountain State Park, to having snaked her way through canyons such as Tallulah Gorge, Cloudland Canyon and Providence Canyon State Parks, to having padded entire river systems such as the beautiful Altamaha River from Middle Ga all the way to the coast, from exploring the depths of the Temperate Rain Forest along the borders of North Carolina and Tennessee, to getting up close and personal with baby alligators in the Okefenokee Swamp at Stephen Foster State Park, she still personally feels as though she is just getting started. Her deep commitment to nature and conservation also leads her into many new and exciting endeavors. Rena considers herself a conservationist and her goal is to do more than just “Go Green”. She envisions a life embedded in sustainability. This also fosters an ever deepening relationship with Georgia State Parks and the Friends of Georgia State Parks as well as many other parks and park systems throughout the US. She is a strong believer in the power of volunteering and uses her images to encourage hundreds of other volunteers to show up for events throughout the years and to give of their time and talents to the best of their ability. She believes that everyone on the planet has a role to play and that we all have a choice in what that role is. She challenges everyone to find a cause that matters to them and make a difference. Rena puts her words into actions, not only by the work we have already mentioned but also by donating a significant portion of all of her proceeds to the parks and other worthy causes close to her heart. She believes that through fund raising, education and a pure appreciation for the world around us, we truly can create and maintain a better world for ourselves and for generations to come. What’s ahead? With her deep commitment to nature and conservation, as well as to always improving her own photography, her world is an open book. That commitment partnered with her ability to not just think outside the box but to live her life as though no box exists, we can only imagine what the future holds. But one thing is for sure, it will be fun, exciting and she will do her best to continually make the world a better and better place!